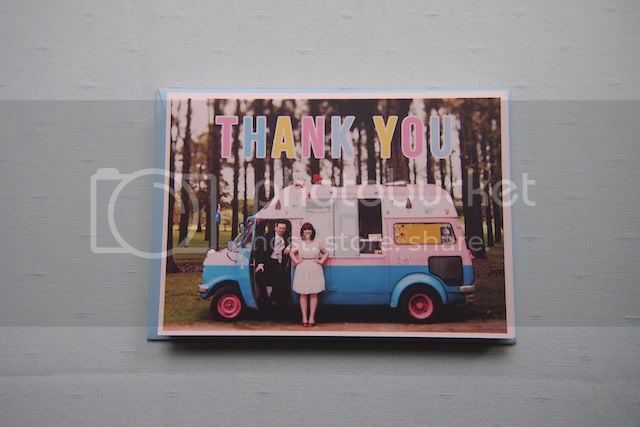 Here's a little look at the Thank You cards we sent out following the wedding. 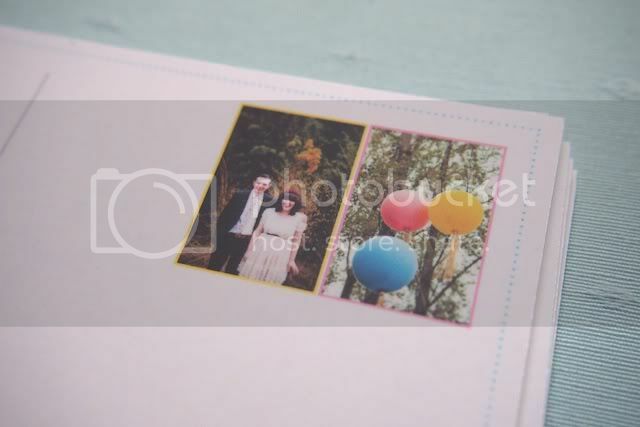 I designed them to look like postcards, with photo stamps and our new address. 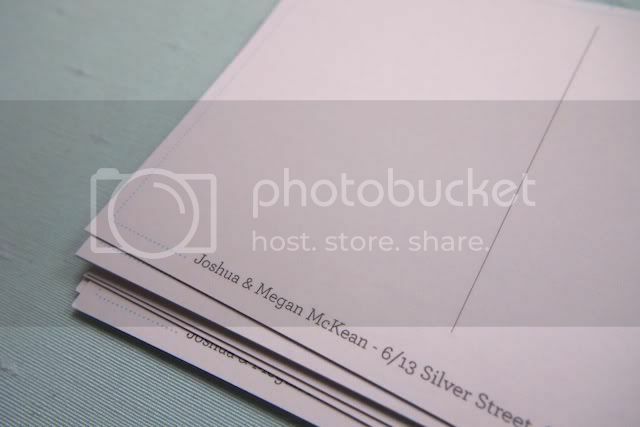 We wrote out personal message on the back and sent it off in a matching envelope, along with some photos of the day by the always wonderful Ben Adams. A few people have asked about the printing of them, and where I had them done. I needed these in a hurry so we could send them out before we took off overseas, so I used Queensland based company Pixo Print. 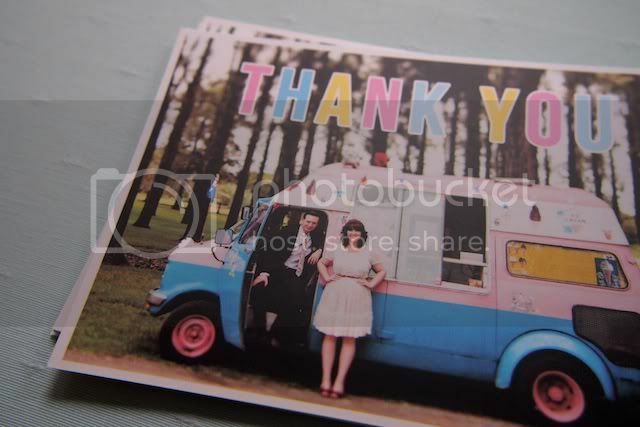 They were ridiculously cheap for what we had done (full colour, matte, double sided) and were speedy with their delivery even though it coincided with the Christmas period. There were a few postcards that didn't print perfectly, but for the price and the amount they did a pretty terrific job!